Four days. Four short days remain in November - National Novel Writing Month - which means I have four days to finish my novel. What's that? How am I doing? Oh, thanks for asking. So yeah, I'm closing in on it. 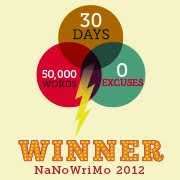 I made a commitment to put 50k words on the page this month, so I'm staying with it. I'm pretty sure that what I've written the past few days is crap. It may be salvageable crap or it may be editing room crap - that remains to be seen. But not anytime soon. For now, I will finish the book. Then I'll do what Stephen King recommends and put the manuscript in the drawer for a while. After some mental distance, I'll be better equipped to determine what to keep and what to scrap. Right now, none of that matters to me. 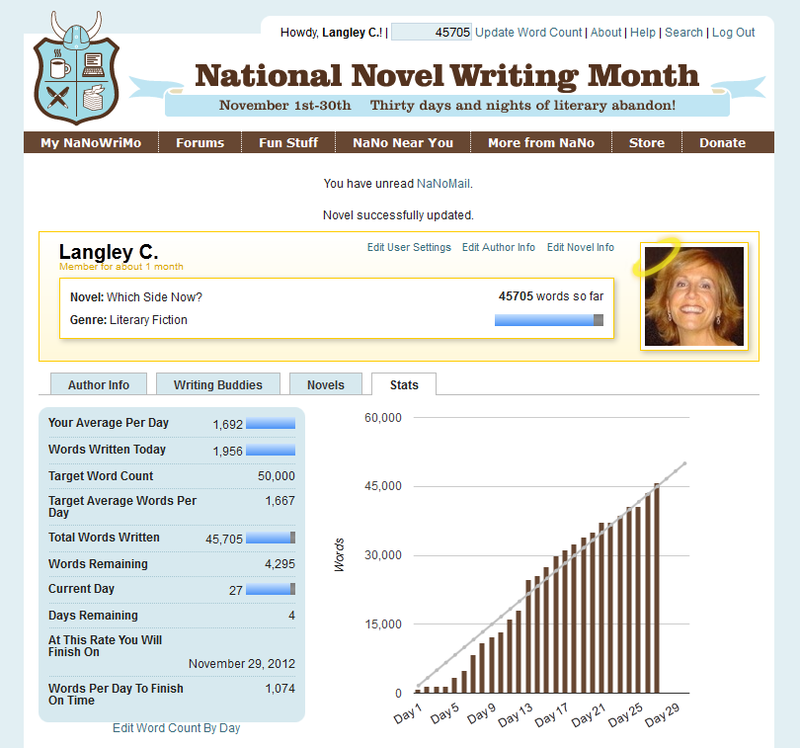 What matters to me is that I finish what I started, that I write 50k words during National Novel Writing Month. I left a comment and came back to see whether it was still here, and it's not. This one will probably also vanish; it's been happening a lot lately (not just to me) and is one of the reasons I don't blog as much as I'd like. In any case, congratulations (again)!